Our Roaster Machine is widely demanded in various industries for roasting different types of flours, granules, powders, seeds, grain, pulses, etc. 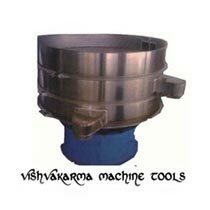 Roaster Machine that we offer is procured from the most trusted manufacturers and vendors present in the market. Owing to its excellent functionality, precision design and easy operation, our Roaster Machine is widely in demand across the nation. Obtain from us, Roaster Machine at the most competitive rates.